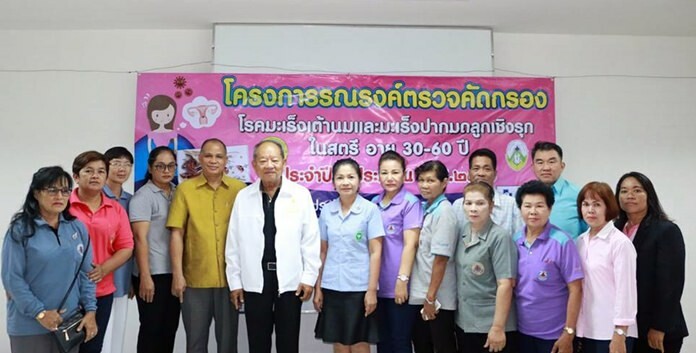 Nongprue officials are urging sub-district women to undergo screenings for cervical cancer at the Mabprachan Public Health Center. Mayor Mai Chaiyanit opened the Jan. 30 seminar with health volunteers, public health officers and agents form the Health Insurance Funding Commission. Cervical cancer is a leading cause of death among women worldwide with about 10,000 Thai women diagnosed each year. However, Mai said, the cancer is easily treatable if caught early. 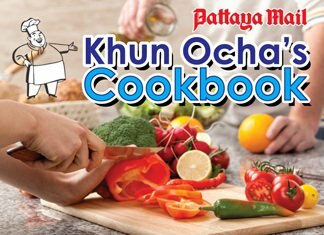 The Mabprachan Public Health Center offers screenings under Thailand’s Universal Health Care Coverage Plan. Women ages 30-60 should schedule regular screenings to prevent spread of the deadly disease.